iCheck inn Sukhumvit 22 is a good choice for families, couples and young travellers, iCheck inn Sukhumvit 22 offers chic and affordable accommodation in one of Bangkok's most popular city centre settings. The stylish air-conditioned rooms feature a flat-screen television and minibar.iCheck inn is home to 20 stylish compact 16-28 sqm bedrooms perfectly furnished to ensure maximum comfort. Featuring a nice blend of vibrant colours and sleek fittings each room is fully air conditioned and equipped with a flat screen cable TV. The hotel is located in a more exclusive residential area within easy reach of expressways to the industrial estates and some of Bangkok's best shopping, dining and entertainment districts. 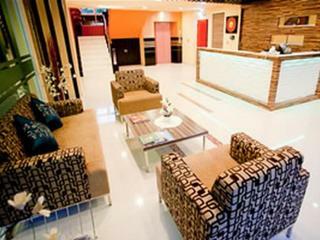 The residence is approximately 37 km from Suvarnabhumi International Airport. Combining elegant yet contemporary furnishings with the traditional comforts of home, the spacious establishment offers comfortable accommodation in this vibrant city. Each apartment is thoughtfully designed with a lounge, dining, and study area that afford a cosy, homely feel. The latest in entertainment technology is on hand with a complete home entertainment system and high-speed Internet access. GM Serviced Apartment is located at Sukhumvit Soi 20 a quiet residential and yet one of the city's busiest shopping and business areas also a short walking distance from Asoke BTS & Metro train stations. Guests enjoy easy access to the area's major tourist attractions like Benjasiri Park Benjakiti Park Queen Sirikit Convention Centre Emporium Central World Siam Paragon and MBK shopping centers.Our residential properties have met the high standards required by discerning families including embassies and expatriate CEOs of multinational corporations and we specialize in providing a range of fully furnished luxurious accommodation to suit all needs - whether during a long term project or perhaps while relocating in this vibrant city.GM Serviced apartment offers 1 & 2 spacious bedroom suites with size from 40 Sqm to 111 Sqm available for long or short stays. 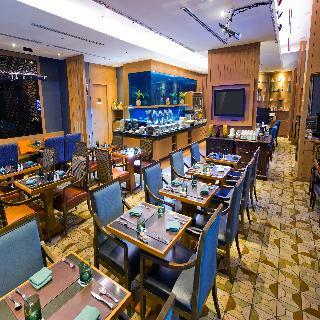 Located in the main financial and entertainment district of northern Bangkok, this venue offers excellent connections to the public transport system. There are 2 BTS stations, Nana and Asoke, both within 300 metres and the complimentary shuttle service offers a great convenience. Although the surrounding area houses a number of restaurants and shops it is also quite tranquil. The interior of the venue is inspired by its vibrant Bangkok setting and offers boutique hospitality that is combined with comfort and creativity. The contemporary rooms are equipped with everything needed for resting, including WiFi, flat-screen TVs and private balconies. The suites are a great option for those who need a little extra pampering, since some of the come with a spa corner, and extra space for stretching out. There is also a small outdoor pool that is ideal for a refreshing dip in the afternoon. The city hotel is conveniently located on Sukhumvit Road, a main road and one of the most tourist-friendly zones for shopping, dining and entertainment. The location is also nearby the Central Business District and has easy sky train and underground links to many temples and historic tourist attractions. The closest train station is only about 300 metres from the hotel.This air-conditioned apartment hotel offers beautifully-appointed units and fully-furnished apartments providing guests with a comfortable living environment and a range of facilities. 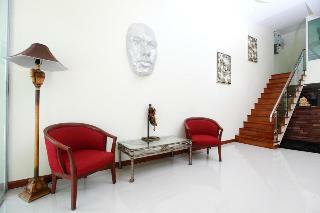 Each room has a fully-equipped kitchen and has its own balcony or terrace that increases the comfort of all visitors. 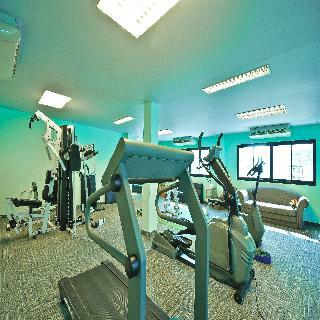 The guests can take advantage of an outdoor swimming pool on and a fully-equipped gym. There is room-service available on request. ROMPO MANSION is a modern 11 storey Apartment Hotel situated in the heart of Bangkok. It epitomises near perfect location .Rompo Mansion is far enough away from the hustle and bustle of central Bangkok to provide a laid back location for the perfect getaway, yet it is close enough to be within easy reach of everything that Bangkok has to offer. 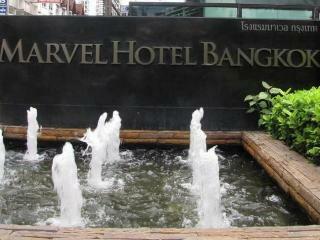 It is the perfect base from which to explore and enjoy Thailand's eye opening and enthralling capital city. Rompo Mansion is the ideal location for the businessman, tourist, student and backpacker alike and families are very welcome and are well catered for. Within walking distance of Rompo Mansion you will find a multitude of local and international restaurants, shopping malls and the famous chaotic, sprawling Klongtoey Market. 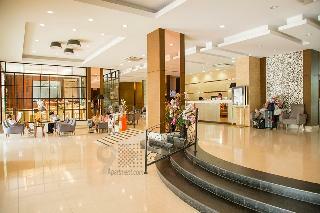 This superb city and business hotel enjoys a prime setting in the Sukhumvit business district of Bangkok. The hotel is situated within easy access of the BTS Sky Train and the MRT subway, offering ease of access to other areas of this eclectic city. Just a 15 minutes' drive away, guests will find a treasure trove of cultural centres, restaurants, nightlife, foreign embassies and consulates. 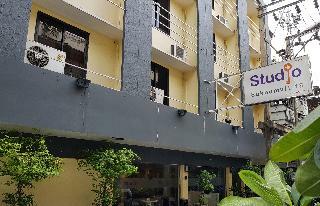 The hotel enjoys close proximity to Siam Square, Siam Paragon and the Queen Sirikit National Convention Centre. 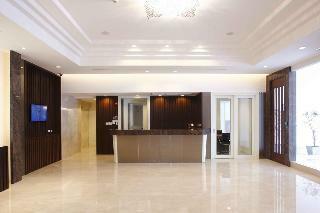 The hotel enjoys a spectacular architectural design, that allures guests into the elegant surroundings of the lobby. Guests will be impressed by the sleek, contemporary style that echoes throughout the hotel. The guest rooms exude luxury and splendour with neutral tones set against dark wood elements. This pleasant complex offers beautifully appointed and fully furnished apartments within a just short walk from the Phrom Phong BTS Sky Train Station. Its location allows guests easy access to the downtown shopping, dining, entertainment and business districts of Sukhumvit Road and is also in close proximity to the major embassies and a lush public park where guests can jog or just walk and enjoy the fresh air. Fitness enthusiasts can also maintain their shape with a workout in the hotel's gym room and follow it with a visit to the sauna and a refreshing dip in the small outdoor pool. For a healthy and delicious meal they can visit the onsite restaurant, if one is craving a fresh juice and a light snack than even the cafe will do. Guests looking for a place where to host a conference or stage their business meetings can check the spacious auditorium of the hotel. This enchanting hotel is situated in the lively city of Bangkok, some 5 kilometres from the vibrant Patpong area and a few steps from Benjakiti Park. 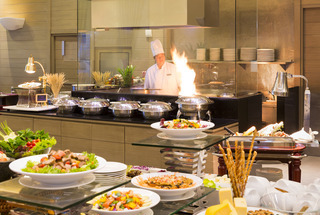 Guests will also find themselves close to several dining options that will make eating out an unforgettable experience. Suvarnabhumi airport is to be found some 30 kilometres away. Guests will find a choice of studios and suites completely equipped for them to feel right at home. They all feature a contemporary décor and modern amenities such as whirlpool in some rooms, ideal to enjoy a moment of relaxation after a busy day of sightseeing. Featuring a convenient situation as well as an excellent service based on attention to detail, this charming hotel is the perfect choice to explore Bangkok. 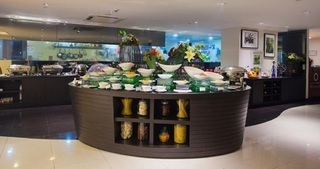 This upscale hotel enjoys a strategic setting in the Sukhumvit area of Bangkok. The hotel is ideally located for business and leisure travellers, offering ease of access to the delights that this mesmerising city has to offer. Guests will find themselves just a 10 minutes' driving distance from the Queen Sirikit National Convention Centre, and is just a 10 minutes' walking distance from the Prompong BTS Skytrain Station for ease of access to other areas of the city. There is an abundance of shopping and entertainment venues to be found nearby. This magnificent hotel enjoys a sophisticated architectural style, and guests will be impressed by the elegance and luxury that greets them from the moment they walk through the door. The guest rooms are beautifully appointed, featuring functional space for the comfort and convenience of business and leisure travellers alike.